the Cairngorms, Dartmoor, the Lake District and Northumberland; following Offa’s Dyke, the Pennine Way and the Ridgeway; visiting Leith Hill Tower, Cairnpapple Hill prehistoric site and Snowdon mountain railway; crossing the Carn Mor Dearg Arete and Striding Edge ridges. 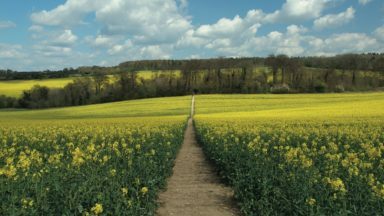 Wherever you find yourself in the UK – among the Munros of Scotland, the fens of East Anglia, the rolling moors of the west-country or the suburban sprawl of of a big city, there‘s a county top on your doorstep waiting to be discovered. Ranging from 80m Boring Field in Huntingdonshire to 1344m Ben Nevis in Inverness-shire, the 91 tops of the historic counties of the UK are a sundry collection of hills and mountains spanning the length and breadth of England, Wales, Scotland and Northern Ireland. 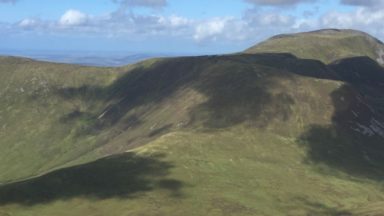 Some rank among the finest summits in the UK: Ben Lomond, Helvellyn, Pen y Fan, The Cheviot, Scafell Pike, Slieve Donard and Worcestershire Beacon. Others are less known, appearing in strange and wonderful places: A military firing zone in Yorkshire, the tundra plateau of the Cairngorms and a back garden in south-east London. Every county top has its own story, whether it is the mystery of the Grey Man of Macdui on Ben Macdui, the Mass Trespass of 1932 on Kinder Scout or the devastating wartime death toll on Shropshire’s Brown Clee Hill. At the beginning of each of the 82 route descriptions the following information is provided: height of the top (or tops) (in metres), location, where to start, map or maps required, difficulty and enjoyment ratings, distance (in kilometres and miles), ascent (in metres) and time required for the entire walk (see ‘Timing’ below). These information boxes are followed by a route description and a map indicating the start/finish point (except in the case of the longest routes which begin with a long walk in where the start/finish is off the map), the advised direction of travel and the location of the county top. You’ve bagged all the Wainwrights, completed all the Corbetts and marched up and down all the Scottish Munros. What other walking challenge is there? How about visiting the UK’s 91 historic county tops. This book by Jonny Muir, who did it in a continuous 5000-mile cycling and walking adventure, is truly inspiring. It is packed with colourful photos, amps, route descriptions and interesting facts about people and places. It is a book that will fuel your enthusiasm to broaden your walking horizons. An engrossing book to delight hill-baggers and list-tickers everywhere. Jonny Muir’s round-up of 91 county tops ranges from Ben Nevis in Inverness-shire to the lowly Boring Field in Huntingdonshire. 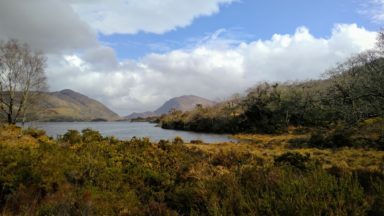 A there-and-back walking route to each ‘summit’ is described in words, photos and maps, charting the author’s three-month walking and cycling expedition to tackle them all. 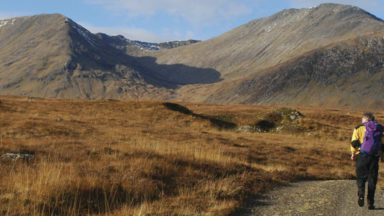 The UK's County Tops, by Jonny Muir, describes 82 walks to reach the top of 91 historic counties. Pictures and useful maps show what's what, while ratings for enjoyment and difficulty might help you decide which to try. There's also information on where to park. It's a bit quirky, with odd "Did you know?" information and a preference for metric distances, despite using the traditional pre- 1974 county boundaries. Overall a fun book that could give you ideas for days out, assuming you like climbing hills. If you like a tick-list of challenges, here's one that will provide plenty of fun but is completely do-able (unlike most of the 'world's one million must-see sights' type books that usually emerge at Christmas). 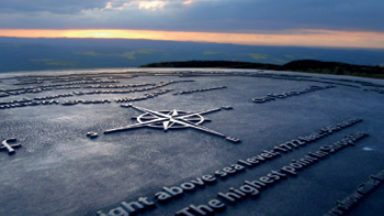 This guide features walks up to the highest point of each of the UK's historic counties. So it ranges from biggies like Ben Nevis, Snowdon and Helvellyn to the lowest, which is delightfully called Boring Field and stands at 80m above sea level in Huntingdonshire (part of modern-day Cambridgeshire). I'd have preferred the walks to be more than the quick up and down that most of these are, but you could take your own map and do longer versions of course. A fun book that will provide plenty of Boxing Day trivia if you get it for someone as a present. This is one for the collector of hill tops, perhaps those who prefer a slightly easier challenge than the Munro’s, Corbett’s, Grahams, etc, though once you start visiting the county tops in Scotland you will find yourself confronted with a Munro or two. Each walk starts at a convenient parking point. 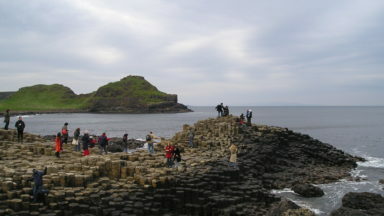 Information includes the OS map required, a difficulty rating, and distance, ascent and time figures. There is also information about the top, a route description and a ‘Did you Know?’ box with information about a famous native of the area and an interesting fact. I was fascinated by the fact that the highest point in Huntingdonshire is called ‘Boring Field’. If collecting county tops is your forte then this book will certainly help you on your way. 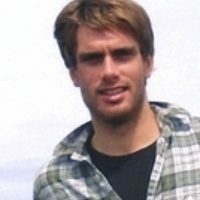 Jonny Muir first visited the UK's 91 historic county tops in a continuous 5000-mile cycling and walking adventure over a three-month period in 2006. His first book, Heights of Madness, published in 2009, is an account of that journey. A journalist for six years at newspapers in Cheltenham, Peterborough and Inverness, he now works as an English teacher in London.